As the industry's first single seat youth model, the Polaris ACE® 150 EFI is designed to give kids ten years and older the joy of driving with adult supervision while providing safety features parents will love. STANDARD SAFETY FEATURES: Safety is the number one priority when it comes to kids enjoying off-road adventures. 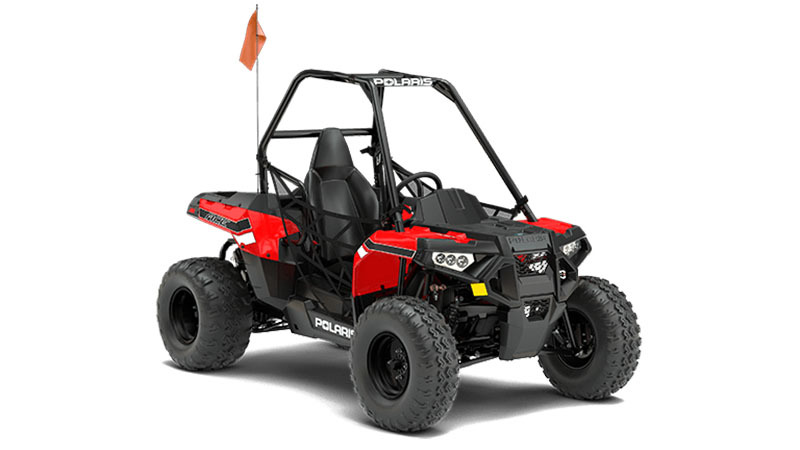 The Polaris ACE 150 comes standard with one youth helmet, LED daytime running lights, seat belt, safety nets, safety whip flag, speed limiting adjuster, and a training DVD. ADJUSTABLE SPEED LIMITING & ERGONOMICS: Tilt steering, a comfortable bucket seat for off-road ergonomics, and 5.7 in. of seat sliding adjustability for growing kids. Parents can also control vehicle speed and adjust with the skill level of the young drivers using the 4-Mode electronic speed limiting. Choose between: - 10 mph (16km/h) - 15 mph (24 km/h) - 22 mph (35 km/h) - 29 mph (47 km/h). LONG-TRAVEL FRONT & REAR SUSPENSION: Bumps in the yard and on the trail are soaked up by 5 in. of suspension travel up front and 6 in. of travel in the back. Plus a full 9 in. of ground clearance gives the Polaris ACE 150, and your young driver, the ability to navigate off-road obstacles. ELECTRONIC FUEL INJECTED (EFI) 149CC ENGINE: The 149cc engine delivers a fun ride, consistent starting, improved idle quality, and a crisp linear throttle response. 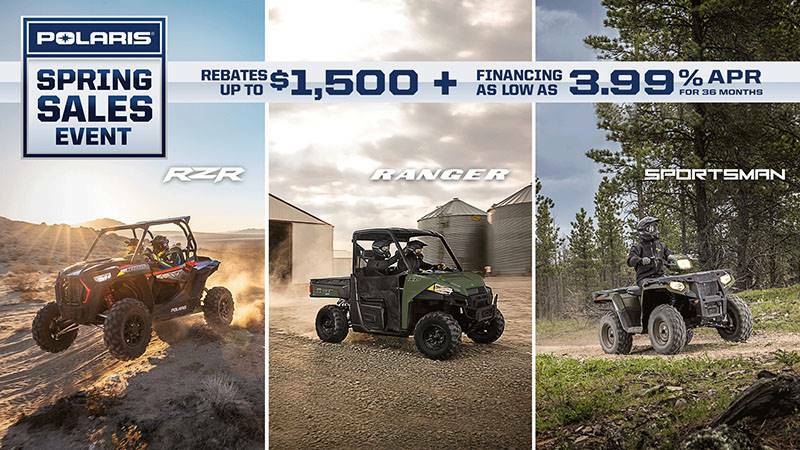 Polaris ACE 150 comes standard with electric start and automotive style controls, making it easy for young drivers to hit the trail. Warning: The Polaris Sportsman ACE™ can be hazardous to operate and is not intended for on-road use. Rider must be at least 16 years old with a valid driver’s license to operate. Always wear helmet, eye protection, and seat belt, and always use cab nets or doors (as equipped). Never engage in stunt driving, and avoid excessive speeds and sharp turns. Riding and alcohol / drugs don’t mix. All riders should take a safety training course. Call 800-342-3764 for additional information. Check local laws before riding on trails. ©2018 Polaris Industries Inc.